UPDATED: MAYS LANDING - Atlantic County Prosecutor Jim McClain authorized the charge of murder today against James Sopuch, Jr., 29, of 96 Trotter’s Lane, for the killing of his father, James Sopuch, two days ago. Sopuch was served the warrant complaint in the Atlantic County Justice Facility by Detectives of the Atlantic County Prosecutor’s Office Major Crimes Unit. Atlantic County Superior Court Judge Kyran Connor set bail at $1,000,000 full cash. GALLOWAY TWP – A 60-year-old Galloway Township man was found dead in his home late last night, and his son has been charged with aggravated assault, Atlantic County Prosecutor Jim McClain announced. 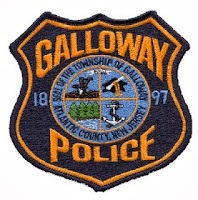 The Galloway Township Police and the Atlantic County Prosecutor’s Office Major Crimes Unit responded just before 10:00 p.m., Saturday, April 25, 2015, to 96 Trotters Lane, Galloway Township, for the report that a resident of the house, James Sopuch, 60, had been found dead inside. Today, the victim’s son, James Sopuch, Jr., 29, of the same address, was charged with the aggravated assault of his father and lodged in the Atlantic County Justice Facility on $100,000 full cash bail. An autopsy performed today determined that the cause of death was blunt force trauma to the head, the manner of death: homicide. Next-of-kin have been notified. The investigation by detectives ACPO Major Crimes Unit and Galloway Township Police Department into the circumstances of Sopuch’s death continues. Anyone with information about the incident is asked to call the Atlantic County Prosecutor’s Office Major Crimes Unit at 609-909-7666.